Nowadays, our skin is exposed to several factors that without realizing it, harm our skin. Some of them are: pollution, stress, dehydration, and sun exposure. Therefore, skin care should be a habit, not a luxury. The appearance of our skin is a reflection of the love that we give to it. The next thing to consider is the quality of the products we buy. Our skin is like a sponge; it absorbs everything we put on it. To be safe and effective, look for products that have been made in the most natural way possible, without harmful ingredients for our skin. 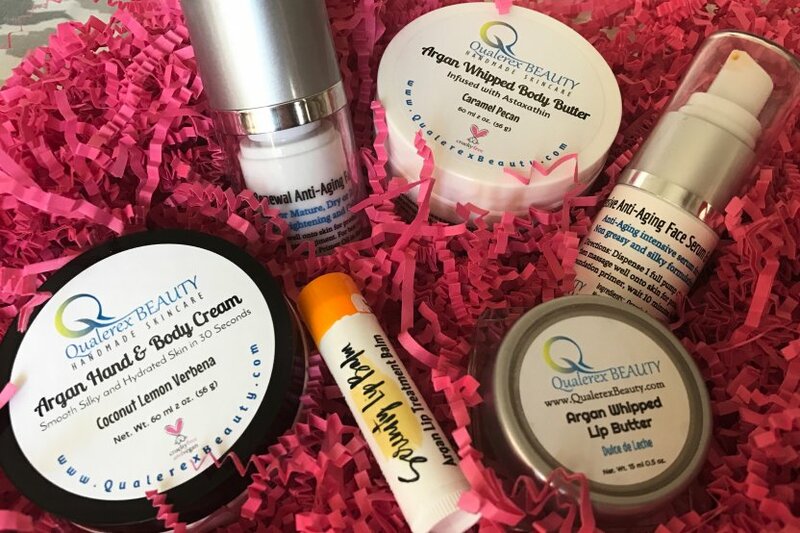 A few days ago, I received a package from Qualerex Beauty with some of their incredible products. Like some of you, I was actually looking for new skin care products, so this box gift arrived at the perfect time. Qualerex Beauty specializes in products made with argan oil, which is extremely moisturizing for the skin. Additionally, they are handmade, organic, vegan, and cruelty free which to me makes it that more special. • Intensive Anti-Aging Face and Foundation Primer Oil. All the products I tried felt extremely smooth on my skin and it absorbed so beautifully yet still left a softness throughout the day. My absolute favorite part are the scents to choose from: Orange Cream Vanilla, Coconut Lemon Verbena, Dulce de Leche, Caramel Pecan just to name a few. Honestly, the Caramel Pecan and Dulce de Leche are irresistible. I give them 2 big thumbs up for creating such a wonderful, all-natural and environmentally friendly products while still being very effective. Well done Qualerex Beauty! May success carry on for you...and know that you have a new client in me! Committed to bringing your attention to all things that are worth your time, thought and money.